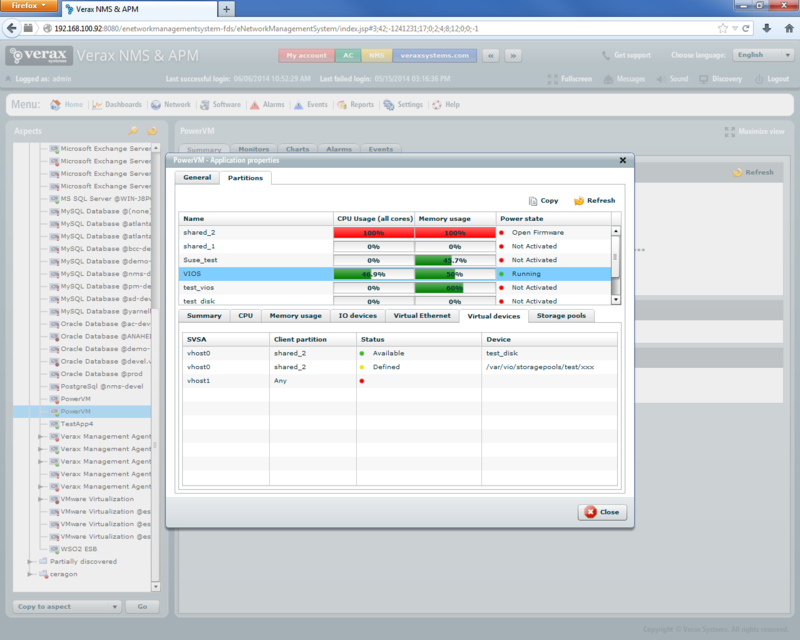 Verax NMS & APM PowerVM management plugin enables easy monitoring, alerting, health check, management and performance reporting for hardware running IBM PowerVM virtualization, logical partitions (LPARs) and VIOS (Virtual I/O Server). The plugin uses SSL-encrypted command line interface connecting to IBM HMC (Hardware Management Console). Software: HMC hostname and system name, operational state, etc. Hardware: processors (total, unassigned), memory (total and unassigned), etc. Processing units: minimum, assigned, maximum, shared pool name, sharing mode, etc. 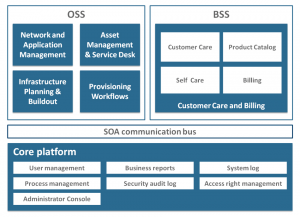 Virtual devices: SVSA, client partition, status, physical device, etc. Storage pools: name, size, type, current allocation, etc.